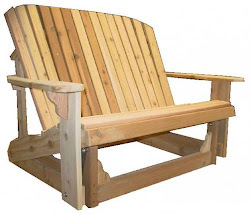 We have been building outdoor furniture for over 2 years and the quality is first-class. All of our furniture is designed to be outdoors, used and loved as they should be. The wood we create with is Western Red Cedar and all pieces are made out of 5/4 stock, that gives us finished 1" thick planks that are used to build our unique furniture.